Bianca leads the customer care function at Intuit Australia and is proud that her team was recently awarded the 2017 Best Small Contact Centre Service Excellence Award by the Customer Service Institute of Australia. She has more than 17 years’ IT experience, with expertise in the accounting and technology sectors. 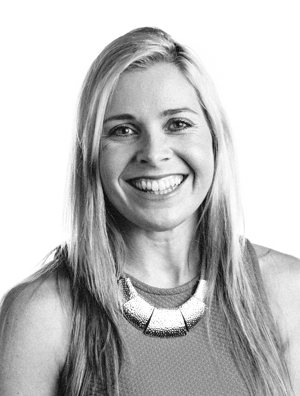 Bianca previously worked for companies including MYOB, Solution 6 and Telstra where she undertook key internal and external facing roles encompassing customer care, product management, product development, consulting and operations. She is also the immediate past product leader for QuickBooks Online. Bianca is an experienced leader in building a culture of innovation and is passionate about customer experience, innovation, coaching & building high performing teams. In addition, she’s worked extensively with development teams using both lean and agile methodologies and is an Agile certified professional. She is also one of Intuit’s globally accredited Innovation Catalysts which is a voluntary role that sees her coach customers and employees in Design for Delight methodology, both locally and globally. Bianca is also a certified Level 1 Organisational Coach, with the Institute of Executive Coaching & Leadership. Bianca lives in Sydney with her husband and two small children. Her active lifestyle extends to being a health coach, running an online health and wellness business in which she coaches clients to lead a healthy lifestyle while striving for balance in their personal and professional lives.